Superdry women’s Elaina studded tote bag. A classically styled tote bag with a slight twist, featuring a studded design on the front, an embossed Superdry logo badge and a handy removable liner bag, complete with zip fastening and popper fastenings to keep it secure to the main bag. 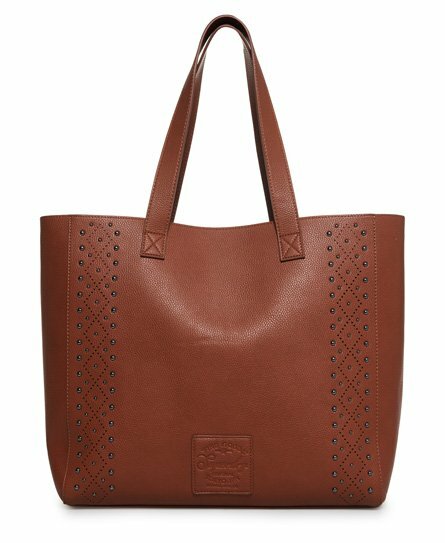 The Elaina studded tote bag also has a small inner slip compartment and is finished with a subtle metal logo badge at the rear of the bag.